We’ve taken traditional and made it EXCEPTIONAL. Here at SuperATV we know lifts. With years of engineering and design work under our belts, we deliver the most innovative and best performing kits on the market. When you want a kit that performs time and time again, measures true to size, and withstands whatever torture you can throw at it, you want a SuperATV kit. If running factory wheels we strongly recommend running wheel spacers. This product is backed by a Super ATV lifetime warranty. Categories: Arctic Cat, WILDCAT, WILDCAT Suspension. Tags: Lift Kit, WILDCAT SPORT, WILDCAT TRAIL. 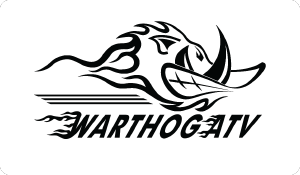 ©2019 Warthog ATV Ltd. All rights reserved.